Drug bust in Gifford, Florida. GIFFORD – Indian River County Sheriff’s Office Special Investigations Unit conducted narcotics purchases during the past two months from Tony Fuller (38) of 2821 44th Street in Gifford. 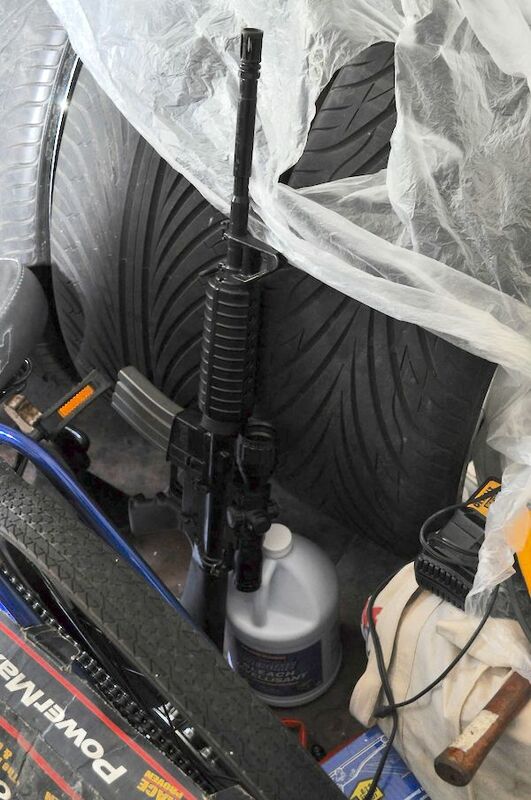 Their investigation revealed that Fuller was in possession of at least one AR-15 style rifle with a drum magazine. 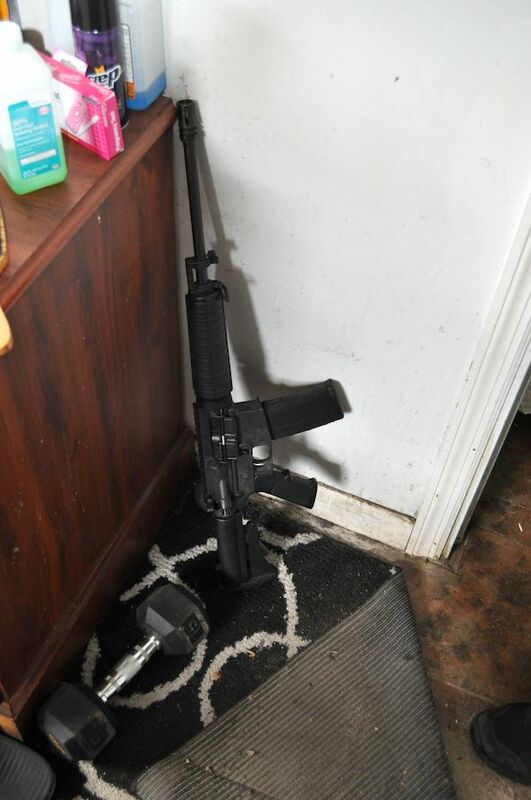 On Friday, March 29, 2019, the Indian River County Sheriff’s Office Special Weapons and Tactics (SWAT) Team served a search warrant at Fuller’s residence. 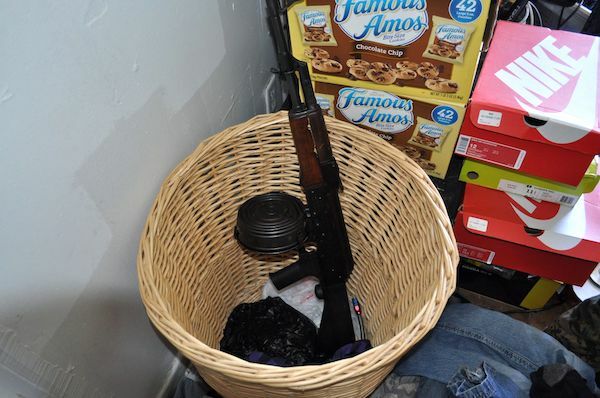 Detectives were assisted in the service of the search warrant by K-9, ATF, and DEA Agents. Fuller was taken into custody without incident. 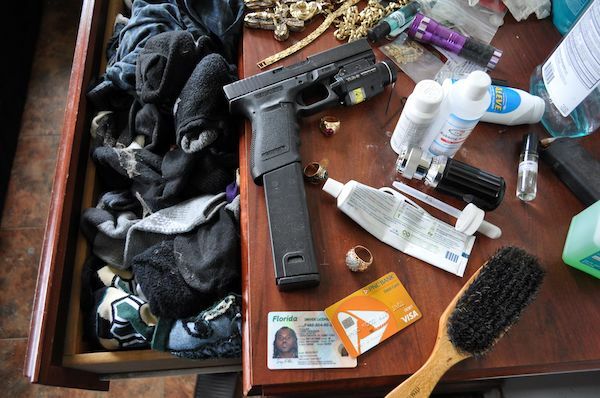 “When our detectives entered the home, they discovered a drug den. 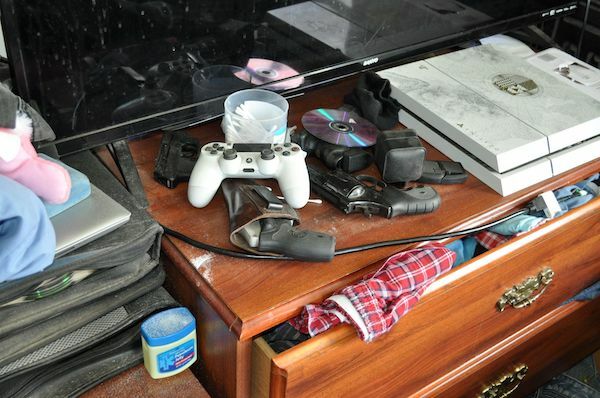 Drugs and guns were located in every room. 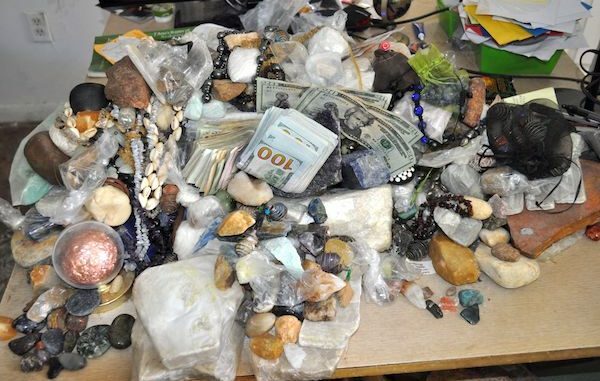 Fuller had an altar made of rocks with money and drugs adorning it. Our community is safer today with Mr. Fuller behind bars where he belongs.” Inside the home, detectives located and seized three AK-47 rifles (with bump stocks and drum magazines), two AR-15 rifles (modified to fully automatic), a foreign made SKS rifle, a Ruger mini 14 rifle, two AR-15 pistols with brass catchers, a 30/06 scoped rifle, a 30-30 scoped rifle, two Kel Tek .380 handguns, three Glock .45 caliber handguns, a Glock .40 handgun, and Smith & Wesson .357 and .38 revolvers. 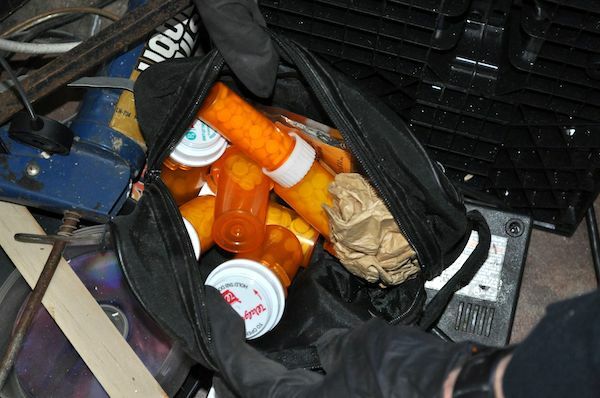 Additionally, $7,249.00 in drug money was seized along with $12,000.00 in counterfeit money. 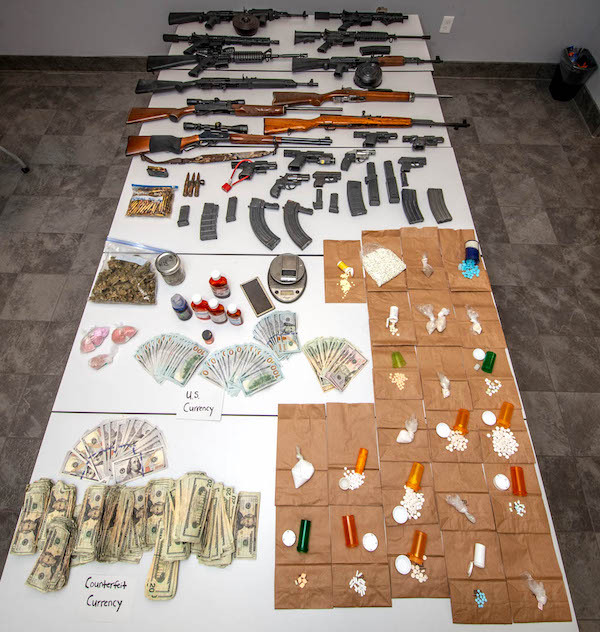 Drugs seized include 637 prescription pills, 184 grams of Molly, 123 grams of MDMA, 360 grams of marijuana, 7 grams of cocaine, more than a pound of codeine/promethazine syrup, and other scales, packaging, and drug paraphernalia,” Indian River County Sheriff Deryl Loar stated. 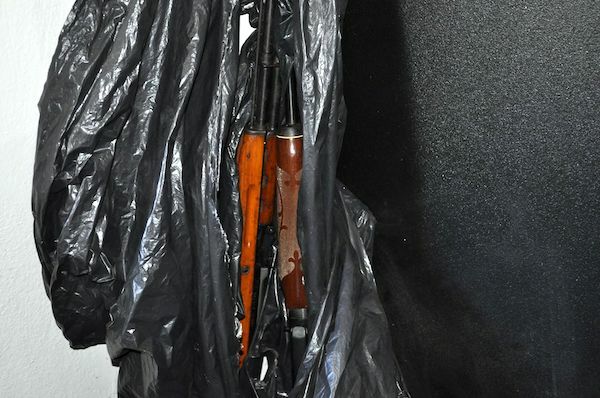 “Of the firearms located, seven have been confirmed as stolen. 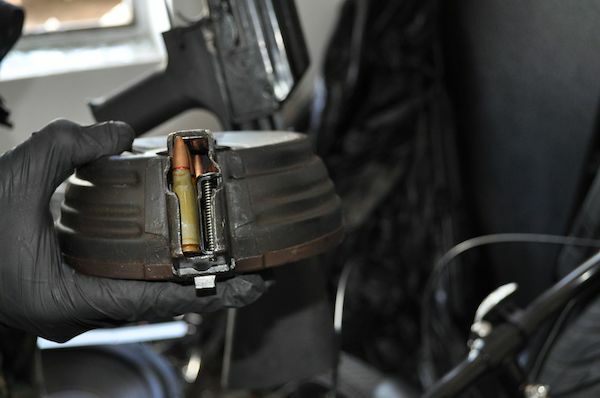 We are confident that even more crimes will be solved as a result of this arrest. 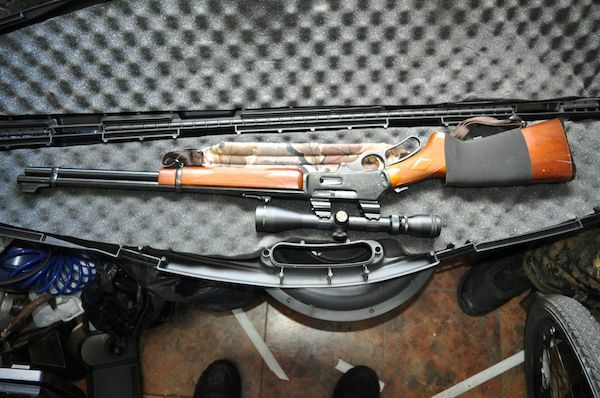 This is outstanding work by our entire team,” Sheriff Loar added. 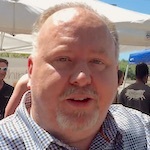 Fuller was arrested and charged with nineteen counts of possession of a firearm by a convicted felon, two counts of possession of a machine gun, two counts of possession of a bump stock, trafficking in heroin, ten counts of possession with intent to sell (prescription pills, cocaine, marijuana), and one count of possession of drug paraphernalia. Fuller will also face charges on six outstanding arrest warrants obtained as part of the undercover operation including charges of sale of a controlled substance within 1000 feet of a church. 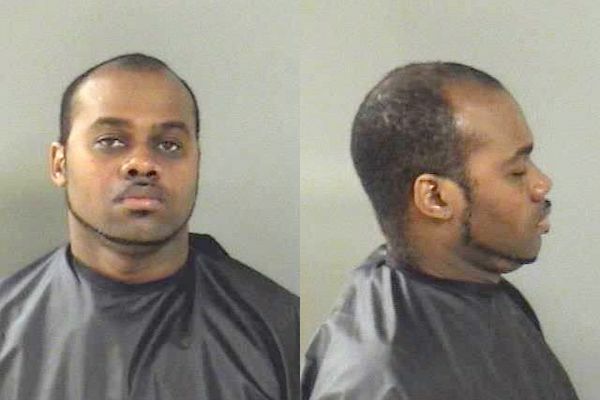 Fuller is being held at the Indian River County Jail without bond.